The other day I pulled an old industrial video camera with a lens on it out of the trash can. It was a beautifully built bit of kit and the trash can seemed the wrong place for it, even if it is so old as to be mostly worthless. The camera requires some specialty support hardware and doesn't do anything by itself. But I wondered if the lens might be interesting to work with. I pulled the lens off; if simply had a screw mount. 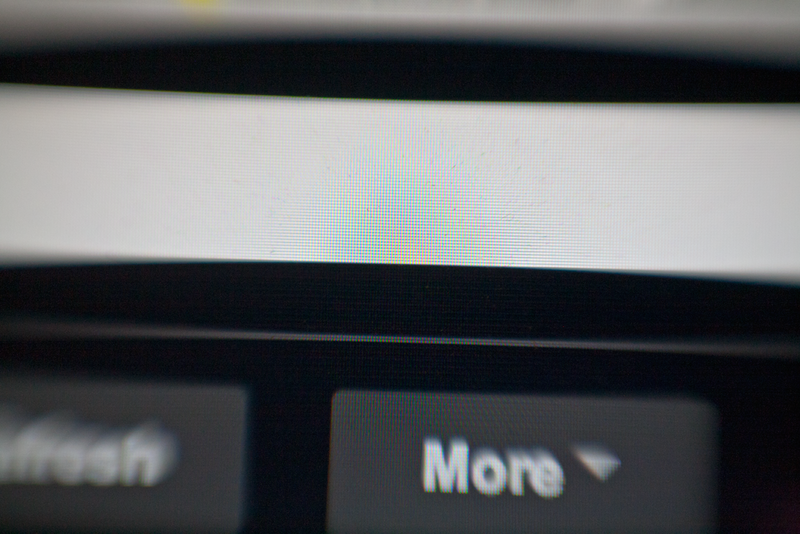 I also removed the lens from my 5D, held the video camera's lens up to the camera and did a bit of lens whacking. This was the result of playing around making images of my computer's login screen. It has the smeary imperfections typical of a lens whacked image. However the odd color shifts in the center caught my eye. I wondered what cased them so I zoomed in to 100% and saw the following. 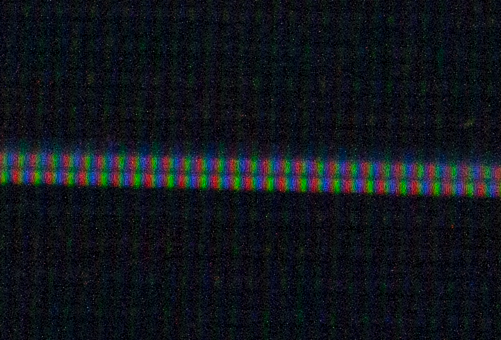 The individual red, green and blue dots in the image above are the sub-pixels that make up a pixel on the monitor. That's pretty cool. This lens has some potential for macro shots. So, I decided to make something a bit easier to work with than just holding the lens in front of the camera body by hand. I had an extra body cap on hand that I'd purchased just for experimentation such as this. I pulled it out and drilled a hole just large enough for the threaded part of the lens to slip into. 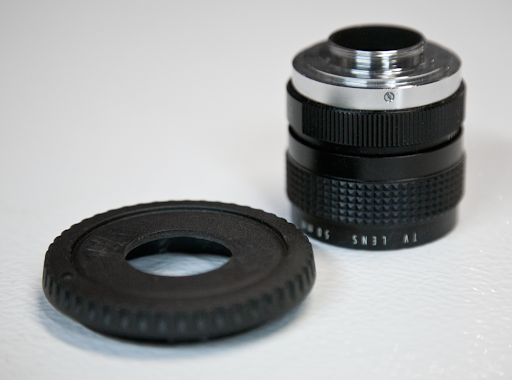 I then attached the lens to the body cap. I didn't want to make this a permanent mount in case I wanted to use the lens in some other configuration. So, a couple dabs of hot glue later and the two pieces were securely attached but fairly easy to pull apart in the future if I so desire. 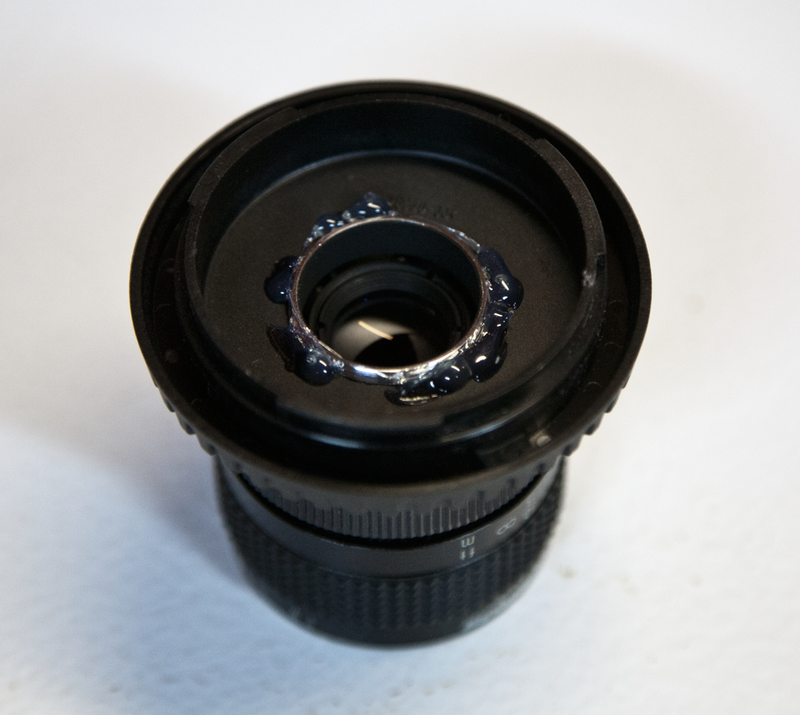 Once the glue set, I put the cap/lens assembly on the camera and pointed it at my 24-105 that normally resides on the camera. The images aren't perfect by any means, but they do have an interesting, dreamy quality to them with all the distortion around the edges. 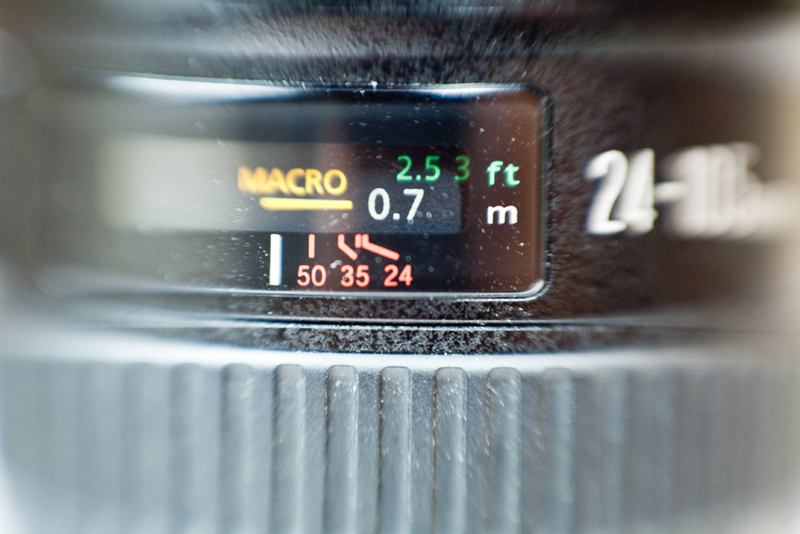 And the depth of field on the area that is in focus is incredibly shallow, like any macro situations. 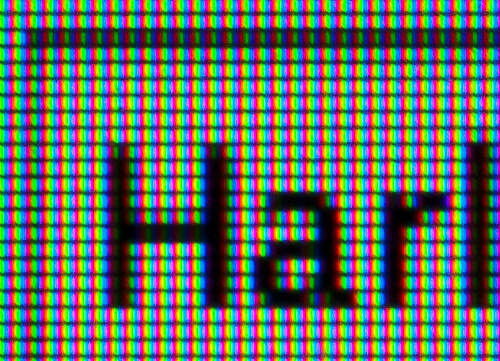 Notice how the yellow "Macro" is sharp in the top image and the red "50 35 24" are blurry. And then compare this to the bottom image where the focus is exactly reversed. I doubt there's 2mm between those two items, so the depth of field is obviously less than that. 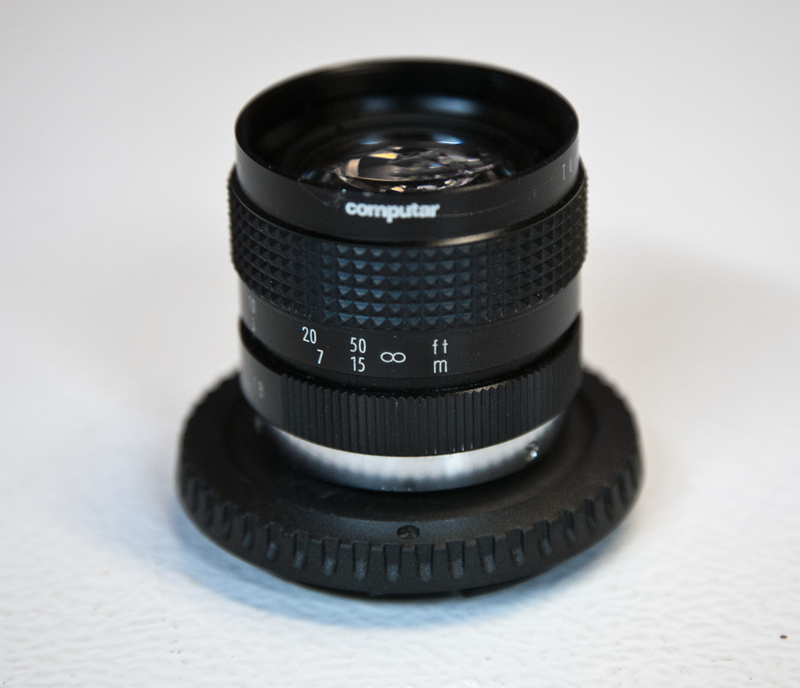 The reason this lens acts like a macro lens is because c-mount lenses are designed to be very close to the sensor. 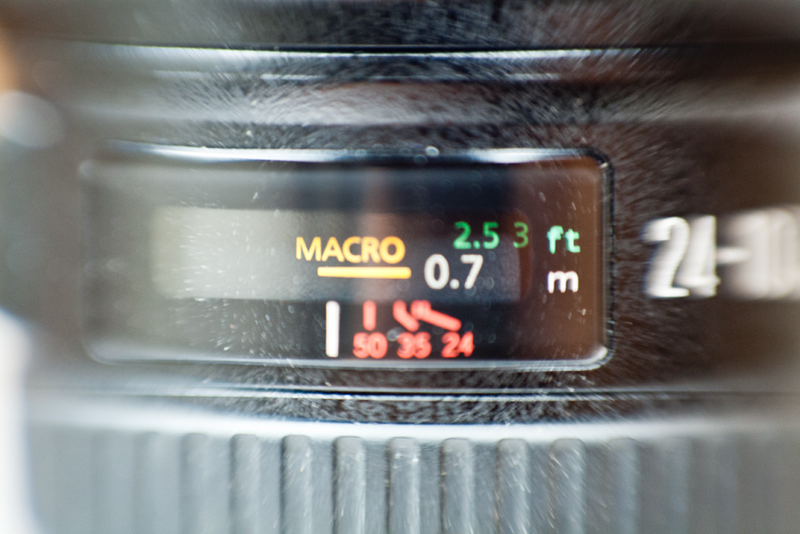 Canon EOS bodies have a relatively large distance between the sensor and the lens mount. Because of these two things, a c-mount lens on an EOS body is sort of like having an extension tube or bellows attached to a normal lens. 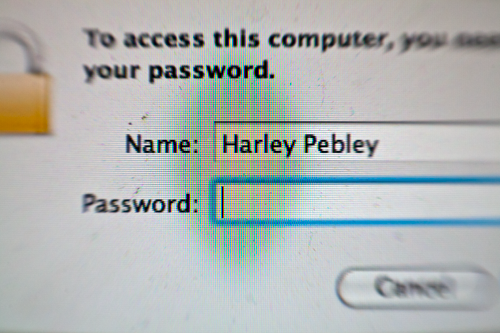 Finally, here's an image of my computer's screen with the lens mounted on the body cap. It's not really much different than the one that I took holding the lens by hand. Although the pixels aren't quite so washed out. In this 100% crop of the grey line seen in the image above, the sub-pixels really stand out. Next, I need to get some micro-adjusting slides and play around with some focus stacking.